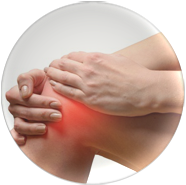 Lower leg pain associated with running is a common problem which is often confusingly labelled as “shin splints”. 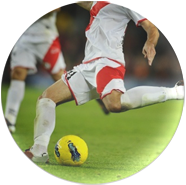 This is usually caused by medial tibial stress syndrome whereby muscles of the lower leg become irritated as they are stressed along the anchoring tibia (shin) bone. This is thought to be due excessive forces being placed on the smaller muscles of the lower leg causing them to be pulled away from their insertion into the bone. Practical ways of minimising symptoms include ensuring the legs are adequately warmed up, training shoes properly fitted and have decent heel cushioning and running on softer ground. Ice packs properly applied can ease symptoms and effective stretching of all the leg muscles should be undertaken. 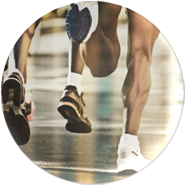 Further treatment is aimed correcting underlying causes such as running style, footwear, muscle balance and training volumes. It is also important to ensure that the ankle and foot joints are not stiff as this can put undue pressure on the leg and that the muscles are not tight and working efficiently. Persistent bone pain can be treated with Extracorporeal Shockwave Therapy but it is important to exclude a stress fracture where small cracks develop in the bone and can lead to a broken leg.